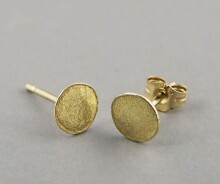 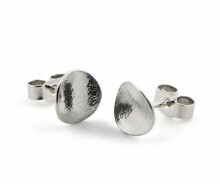 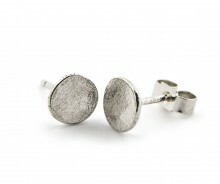 Hand-made, easy-to-wear contemporary gold stud earrings with an organic textured finish. 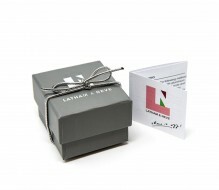 Give them to your niece, your Granny or your lover. 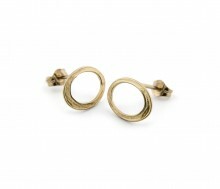 Or even buy for yourself. The diameter of each stud is approximately 4mm to 5mm, but each one is unique and modern. 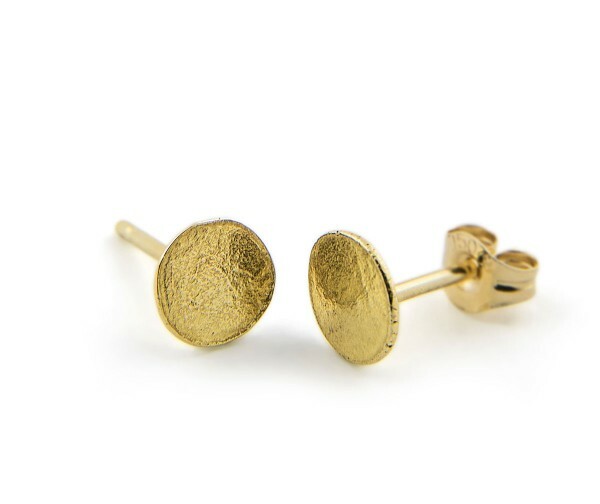 The design philosophy at L&N is Modernist but wearable, cool but comfortable; the finish is exact and every piece is made to be easy to put on and to remove, to avoid snags and catching, and to look fabulous; this work is unique to Latham and Neve and is entirely British hallmarked 18ct gold, hand crafted in our workshops in the Garden of England.